Presented by Avenue 50 Studio, “by and for: democracy and art,” is a visual conversation of the role of art in a democracy. 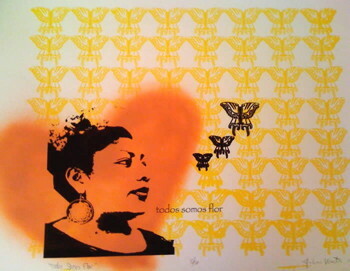 Thirty were selected by curator, activist and art historian Carol A. Wells, the founder and executive director of the Center for Study of Political Graphics. In the work exhibited, the artists address shifting meanings of freedom and equality, censorship and civil liberties. Using art as a vehicle for the discussion of political issues has a rich history which, at times, has been shrouded in censorship. Mariona Barkus, Ulla Barr, Yvonne Beatty, Christine Behnen, Tristan Blodgett, Christina Carroll, Audrey Chan, Bayesteh Ghaffary, Michael Graham, Leslie Gray, Karen Gutfreund, Sinan Leong Revell, Larry Lytle, Barbara Margolies, Silva Matossian, Felicia Montes, O O, Sheila Pinkel, Chris Ramos, Jeffrey Robison, Catherine Ruane, Amy Spain and France White. With your support all things are possible! Thank you!! 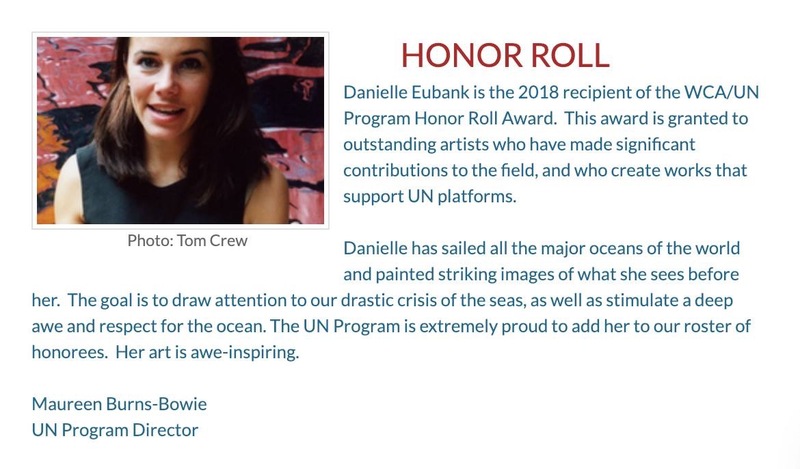 Danielle Eubank Receives WCA/UN Honor Roll Award! Click on Danielle’s image (above) for more information and view Danielle’s amazing project video. “Gloria’s Call” a Short Film directed by Cheri Gaulke! Gloria’s Call was born in October of 2016 during a presentation by renowned scholar Dr. Gloria Feman Orenstein at the Southern California Women’s Caucus for Art (SCWCA) Surrealist Tea in celebration of their 40th Anniversary. The film is produced by artists Cheri Gaulke (director), Cheryl Bookout, Anne Gauldin, Sue Maberry and Christine Papalexis. Your membership includes opportunities to exhibit in the SCWCA All Members Exhibition, your personal page on the Artist Registry, attend programs, network with arts professionals and support women artists at local and national levels including the Women’s Caucus for Art LIFETIME ACHIEVEMENT AWARDS. Click here to join SCWCA! 2019 Upcoming Events! Calendar Updates Soon!